Is it a good time to become a commercial pilot? To be honest, it's crunch time for the airlines! About 40 percent of commercial airline pilots will be retiring in the next fifteen to twenty years, which has created a pilot shortage. The military no longer trains pilots in the numbers they used to, so airlines have been forced to come up with creative solutions to fill their expanding fleets. Great entry level compensation, sign-on bonuses, retention bonuses, attractive benefit packages, and guaranteed time off are all perks that a new pilot can expect. If I've never flown before, can I enroll in this program? Yes, the program is designed for students with zero flight experience. Why Choose MCCC/Infinity Guided Pathway Partnership Program? -MCCC, with its partners, offers a guided path to the seat of the world's largest commercial carrier, American Airlines. If you're looking to go to another airline, or go the corporate route, we can help you too. -It's the only 2-year internationally accredited Aviation Degree Program in the nation - It's a BIG DEAL! How long does the Professional Pilot program take to complete? The Associate's Degree program takes 18- 24 months to complete for a full-time student. Aviation Flight Technology - for Commercial Pilot start in the Fall (early September) and Winter (January) semesters. Do airlines accept a two-year degree? Yes, most airlines, including Piedmont/American are hiring pilots with an Associate's Degree. Are there requirements I must complete before starting the program? You must have a high school diploma with one year of algebra, proof of citizenship or TSA approval, pass an aviation medical exam, and be proficient in reading, writing and speaking English. Flight training is not inexpensive, but going through the 2-year MCCC program allows you to earn all the ratings and the degree you will need for your career. The entire two-year degree program costs about $65,000 vs. an expensive four year aviation program which can run between $250,000-$300,000. Yes, MCCC offers financial aid. There are also a wide variety of scholarships available. I'm a Veteran; can I use VA benefits for flight training? Yes. You can use your VA benefits for the entire program - Private, Instrument and Commercial. What pilot certificates/ratings will I obtain? You will earn your Private Pilot Certificate, Instrument Rating and Commercial Single Engine Land Certificate. As a graduate you also have the privilege of the Restricted ATP (Airline Transport Pilot) of 1250 hours, as opposed to 1500 hours for non-degree holders. Where does flight training take place? We are partnered with Infinity Flight Group. They are located at the Trenton-Mercer Airport, Trenton, NJ. You will be training in some of the busiest airspace in the country, in all types of weather conditions, which will put you ahead of the pack in terms of practical experience when you go to the airlines. Will I be training in simulators or flying actual aircraft? 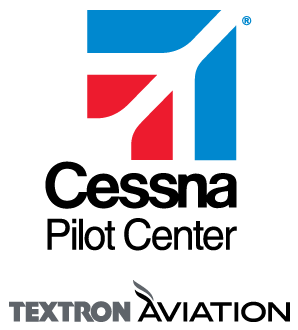 While there are certain lessons that require use of our simulators, you can expect that the majority of your training will be done in newer model Cessna 172 training aircraft. How often will I fly? You should expect to fly three to four days a week. Is passing the required FAA exams difficult? While the oral, written and practical exams are designed to maintain strict guidelines set forth by the FAA; ninety-seven percent of MCCC students have passed their examinations on their first attempt. What happens after I complete the program? Can I go right to the airlines? Yes. Graduates of the MCCC program who are hired as Certified Flight Instructors (CFIs) by Infinity Flight Group after graduating the program are eligible to interview with Piedmont Airlines (a regional carrier of American Airlines) at 400 flight hours. If you are given a conditional offer of employment with Piedmont at that interview, you are enrolled in their Cadet Program. You will earn a signing bonus from Piedmont, and continue to earn flight hours as an Infinity CFI until you reach the required 1250 flight hours. - at which time you will enter the next available Piedmont jet training class. Piedmont has the distinct advantage of allowing you to flow directly to American Airlines without any further interviews. If I graduate the program with 250-300 hours of flight time, how do I build my hours to the 1250 hours required to go to the airlines? Think of the MCCC flight training program as a long interview process. Students that demonstrate consistent reliability, determination, ability, and enthusiasm during classroom and flight training can typically expect to be hired as an Infinity Flight CFI. Building time from 250-1250 hours usually takes eight to twelve months depending on how steadily you choose to work.